FROM THE EDITORS YOU FINALLY MADE IT HERE! Congratulations and welcome to the next chapter of your trip! Through hard work, long hours, and determination, youâ&#x20AC;&#x2122;ve earned an admission ticket to your place here at UNSW! Get ready for the rollercoaster ride that is the university experience! Explore new heights, face your fears, and unleash your potential on all that UNSW has to offer. A spellbinding and thrilling experience awaits you and we want you to make the most of your First Year! 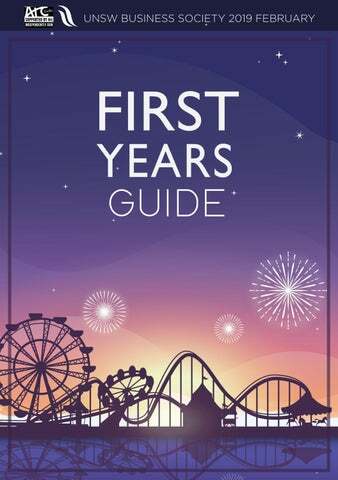 To equip you with the best skills and abilities, BSOC Publications has compiled the best info and tips into a travel friendly handbook, The First Years Guide! This guide has you covered for each and every attraction. Become acquainted with university basics in Adventureland! Visit the land of Magic to learn all about academics. Discover life outside the classroom on the High Seas and learn about career opportunities in the Big City. The UNSW Business Society (BSOC) is the constituent society of the UNSW Business School. Itâ&#x20AC;&#x2122;s the gateway for all business-related students to develop personally and professionally. BSOC hosts a range of academic, social, and career-oriented events and opportunities throughout the year, so keep updated by following our Facebook, Instagram, and Snapchat platforms. Stay connected, determine your own adventure, but most importantly, enjoy the beginning of a new chapter in your life. Whether it’s your first time strolling through the UNSW Business School, or you’re a seasoned veteran back for another semester of balance sheets and financial models; we wish you a warm welcome to UNSW Business School for 2019. You’ve successfully made it through the gates, so buckle up and get ready for the rollercoaster ride that is uni! All this talk of opportunity and change can seem overwhelming for a fresh faced first-year Business student - or at least it was for us! We still remember the experience of having to awkwardly ask for directions to Mathews Theatre, pulling an all-nighter over assignments we knew we had to do for weeks (we’re looking at you, Statistics! ), and nervously trying to introduce yourself to new people in your accounting tutorial. Despite the consistent and seemingly relentless challenges, university really is a time of personal growth for those willing to embrace it. That’s where the UNSW Business Society (BSOC) comes in - as a place to grow, meet new people, and make your university experience as incredible as it can be. Backed by the UNSW Business School as its constituent society, we are a not-for profit that aims to facilitate the professional and personal development all our members. We aim to help students through all facets of their university life, offering support, opportunities, and a sense of community to our near 10,000 members. University may have its ups and downs, but BSOC will always be there to guide you. Whether it’s socially, academically or professionally, BSOC has the tools, resources and events to help you get where you want to go. We encourage you all to take this coming year by the horns, to leave no stone unturned, and to ensure you make the most of every opportunity that surrounds you. This marks the beginning of thrills, fun, learning, and memories; what is to become one of the most influential chapters of your life, so make the most of it! Make an impact on our communities Become a difference maker. Become a Chartered Accountant. Main Library Nobody at university will recommend the infamous all-night study session, but we’ve all thrown one at some point. If you’re a night owl, the Main Library features UNSW’s only 24/7 study space. Law Library Although extremely popular with students from all faculties, the Law Library features private study rooms which can be booked online (so does the Main Library). Make sure to book ahead as reservations are usually exhausted weeks in advance. Business School: The Place Beautifully furnished and at the heart of the Business School, this new study space is in high demand. Don’t expect to find a seat too easily during peak university hours. Bookshop With renovations wrapping up in 2019, the new bookshop will feature a cafe and plenty of great reads. Residing adjacent to the Business School, this will undoubtedly become a popular spot to grab a coffee and sit down with a novel or a textbook. We’re looking for all-rounders − independent thinkers who thrive as part of a team. We recognize that everyone is different and everyone will bring their own unique experiences and perspectives to the team; Bain staff come from a variety of academic and industry backgrounds. The essential elements we'll be looking for when reviewing your academic, extracurricular and professional experiences are: • a passion for problem-solving • strong analytical, interpersonal and leadership skills. exams, assistive technology and notetaking services, and help applying for Special Consideration for assessments. Visit student.unsw.edu.au/ disability for more info. Ally @ UNSW This lighthouse program aims to eliminate barriers such as fear and ignorance that prevent safe and welcoming spaces for all students and staff who identify as LGBTQI. Visit student.unsw. edu.au/ally for more info. Queer Collective @ ARC The Queer Collective is an SRC body representing all LGBTQI students on campus. They meet twice a week and host a range of events and activities throughout the year at the Queerspace in Room 9.21 in the Chemical Sciences Building. Visit arc.unsw.edu.au/voice/ src/queer for more. University Health Services Need to see a GP? Comprehensive general health services can be found on the ground floor of the Quad. Stellini Pasta The most authentic Italian available on campus can be found here at the UNSW terraces. Choose your variety of pasta and a delicious combination of fresh ingredients for a hearty meal to power you through your next tutorial. Jewel of India Take a visit to the Indian subcontinent on your lunch break and drop by for a mouth-watering butter chicken or a vegetarian Dum Aloo. Follow your nose to UNSWâ&#x20AC;&#x2122;s spice capital for a generous serving of curry with naan bread or rice. Roundhouse Long day on campus? Why not grab a drink and a bite at the Roundhouse! They offer great deals on burgers and sides with all your favourite drinks. Stay a bit longer and you might catch a live performance in the Beer Garden! The Little Marionette Searching for the best coffee on campus? Little Marionette has you covered. Rated highly by sleep deprived students, you can choose from a range of coffees from basic to extra specific orders. Pick up a small snack on your way and you’re ready to tackle the day! Stockmarket Finding a healthier choice that doesn’t sacrifice on taste and won’t break the bank can be hard. Visit Stockmarket and choose from heaps of delicious ingredients to create a salad, pasta or soup that will satisfy mind and body. Coffee on Campus Located on middle campus, this cafe is the perfect spot to meet friends in between tutes. They offer a variety of coffee, juices, sandwiches, hot meals and small snacks to prep you for your study sessions. The relaxed atmosphere provides a great place to catch up on uni work, doze, or make new friends. Specific subjects, usually 6 UoC (units of credit) e.g. ACCT1501: Accounting 1A. Start first year with core courses and flexible core courses. Check your handbook and program progression plan to decide which courses to study. Note: Some have pre-requisites. General education courses are required for single degrees. Some have course codes beginning with GEN. Check your gen ed requirements in your handbook. Are courses you can choose from a specific set list. They are not essential to your degree or major(s). Possible courses that are not specified by UNSW, but may still be restricted. Selecting which courses you will study in each term for the upcoming year. Occurs once a year. Selecting your classes and timetable for each course in the upcoming term. Occurs just before each term. Deadline to change class registration and course enrolment for the upcoming term without financial or academic penalty. The deadline to drop a course is after the census date. You can drop a course with financial penalty, but no academic penalty before this date. You are a full-time student for a certain year if you study at least 36 UoC over terms 1,2,3, with at least 1 course per term. You are a full-time student for only a specific term if you study less than 36 UoC in a year, but study at least 2 courses with 6 UoC in a certain term. Studying less than 36 UoC over terms 1,2,3; and less than two 6UoC courses in a certain term. The recommended load. 48 UoC per year (8 courses). 54 UoC per year (9 courses) is still considered normal. Studying more than 54 UoC over terms 1,2,3 is overloading and requires a 65+ WAM and an application to your program authority. The UNSW handbook gives information including different degrees, program structures, your required courses, course descriptions, possible majors and minors, potential career options, and more. Always consult the version of the handbook for the year you started your degree (the 2019 version). Uni-Verse is a mobile app you can use to see maps, key dates, Moodle activities due, library loans and fees, upcoming Arc events, and more. You can also access updated info about your timetable and exam timetable, which is useful when there are sudden room-changes. Analysis of financial information to manage business resources and investment decisions effectively. The study of investment decisions, financial markets, valuations of financial assets, and financial risk. Using market research and analysis to communicate value to stakeholders e.g. customers, and clients. MANAGEMENT Guiding and organising people, relationships, and organisations; developing goals and regulating resources. FINANCIAL ECONOMICS An economy-wide analysis of how individuals, firms, and markets manage financial risk. REAL ESTATE STUDIES Management and research of real estate investment in both public and private sectors. HR MANAGEMENT Managing employee recruitment, orientation, and treatment, and the workplace environment and culture. Organising and analysing data to inform good business decisions and solve problems. INTERNATIONAL BUSINESS Development, strategy, and management of multinational organisations. BUSINESS LAW The study of legal requirements and regulations underpinning all forms of commercial activity. BUSINESS STRAT & ECONOMIC MANAGEMENT Strategic decisionmaking informed by economic behaviour. TAXATION The study of taxation legislation, regulations, and policies to inform business conduct and decision-making. Using economic theory and analysing economic drivers to inform business decisions. The study of the production, allocation, consumption, and transfer of wealth. Using maths and statistics to describe and analyse economic hypotheses. Analyse and manage a range of risks in the context of a global financial environment. Evaluate and manage risk by applying mathematical, statistical, and financial analyses. QUANTITATIVE DATA SCIENCE (actuarial studies degree only) The study of methods to organise, model, and analyse data relevant to businesses. These are designed to aid in your learning and understanding of the topic covered in the last lecture. Utilise lecture recordings and notes of the relevant topics to aid in preparation for these weekly or fortnightly quizzes. Similar to final exams, these usually consist of multiple choice and/or openended questions. Ensure a full understanding of the applicable topics and ask your tutor questions where there are gaps in your knowledge. Reports involve analysing selected issues by using the frameworks and theories of the course. Ensure an abundant amount of time to complete the report (donâ&#x20AC;&#x2122;t leave it until the last minute!) and routinely check your work for any errors. Marking class participation aims to improve studentsâ&#x20AC;&#x2122; communication skills and enhance their understanding of course content. Regularly attend tutorials and complete any assigned work as preparation. These are easy marks for dedicated students. StudyTips Tip 1: Organisation You might be thinking: “How on earth am I meant to keep track of everything?” To answer that… stay organised! At the beginning of each term, look through your course outlines and mark down assessment deadlines to track due dates- whether that be with a diary, post-its or calendars. Do not rely on memory to remember those dates. Making it a habit to mark down due dates and regularly checking them will save you a lot of stress for the rest of your university life. Tip 2: Study zone Find a quiet study space! If you find that you’re easily distracted at home, try studying at your local library. You can also come earlier or stay back after classes at university to study. Put your phone on silent, leave it in your bag so that you’re not constantly checking notifications. Make sure your study space is decluttered. You do not need 15 highlighters on your desk. Keep it minimal! Course length has decreased from 12 weeks to 10 weeks, so content may have changed. Assessments have also been redesigned. This means you should be more wary about relying on past-papers, old notes, and word-of-mouth. Easier Exchange The UNSW 3+ calendar is better aligned with academic calendars in the northern hemisphere. So, it is likely that exchange will not increase your degree length by as much as it did previously under the semester calendar system. - Look at the course outline. - Understand all requirements, including formatting requirements. - Learn how to reference correctlyUNSW provides a website detailing how to Harvard reference. - Be comfortable writing reports. - Don’t leave deadlines until too late, especially with the reports. - A large portion requires teamwork and problem-solving. Keep an open mind and be a team player. - Don’t get overwhelmed by the theories presented in your lectures, focus more on practicing questions. - ATTEND PASS CLASSES! They only go through the most relevant information and help you understand the course content in a simple manner. - Keep up with tutorial questions! - Learn some Excel skills. - Use practice questions from MyStatLab, especially those relevant to formulae to learn course content. - Do textbook questions until you feel comfortable with every question. - Do all the set tutorial questions. - Thoroughly understand the fundamental ideas as early as you can. - Look at the worked examples in the textbook and your lecture slides. - Watch online video tutorials. - Do the tests slowly and steadily. - Practice makes perfect- this subject is far more about practice than memorising content. - The best way to gain a solid foundation is to learn textbook content. - Come to tutorials having attended your lectures and read through the relevant chapter. This way you can test your understanding of economic concepts in class and ask your tutor for help where things get tricky! - You’ll be hard-pressed to find past papers, but if you complete all tutorial and study questions you will find the exam questions very familiar. ARE YOU A HIGH ACHIEVER? JOIN AUSTRALIA’S FASTEST GROWING START-UP Checkbox is a 9x global award winning start-up with the mission of enabling anyone to build software. Currently, we help tier one enterprises across Big 4 professional services, law ﬁrms, ASX20 corporates, global insurance and banks transform their businesses by building automation and workﬂow software without needing to code. As an intern or grad at Checkbox, you’ll be working directly with these giants at the forefront of corporate innovation, learning from the Founders, and working with Australia’s brightest team in a fast-paced, high growth environment. You will need research skills throughout your time at uni, even for first-year subjects such as MARK1012, MGMT1001, and MGMT1101. You are expected to use more sophisticated resources, mainly academic peer-reviewed journals. 1. Find academic journals online with Google Scholar and UNSW library databases. What to Avoid: Avoid magazines, articles, infographics, news articles, and works that don’t have references. 2. Get a NSW State Library card to access many more databases such as EBSCO and ProQuest. It is free, and will be sent to you in the mail. e.g. This is from Google Scholar and is published by Harvard University, but is an article with no references. Avoid these! Also avoid sites like Wikipedia and Britannica. However, they are good starting places! You can often get an overview of the topic, and find good sources by checking the reference list at the end. 4. Aside from journals, try using annual reports from businesses and governments, and statistics from the Australian Bureau of Statistics. 3. Use filters when searching databases. Always make sure “peer-reviewed” is checked! All minds wanted See how far your thinking can go. Join Us. We’re looking for students from all majors and backgrounds to help us make a positive impact on clients, customers and communities alike. Our programs, internships and full-time roles cater to a wide variety of interests and skills, offering more opportunities to continuously learn and innovate in a caring and supportive environment. Here’s how you can go from campus to career: • Attend our on-campus and virtual events to learn more about our programs and businesses. • Make a short list of programs that suit your interests. 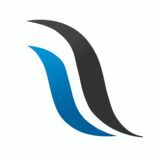 jpmorgan.com/careers J.P. Morgan is a marketing name for JPMorgan Chase & Co., and its subsidiaries worldwide. ©2019 JPMorgan Chase & Co. All rights reserved. J.P. Morgan is an equal opportunities employer. • Research the application process for the programs you’re interested in. • Visit the Advice Center on our website to understand our interviewing and hiring process. • Apply early-the window for applications opens soon. If you want to join a company that will support and respect you – one that genuinely cares about you and the world you live in – let’s talk. It’s the weekend before your microeconomics assessment and you’re studying away when all of a sudden, you receive the dreaded text from your friends – Are you coming out!? Underst and Your Priori t ies. University life demands that you balance competing areas in your life. For most, it is a difficult task. However, understanding where your priorities lie is imperative in gaining the most out of university. So take some time out to see where your priorities lie, keeping in mind how you think you will make the most out of university and what you actually value the most. You may feel overwhelmed by all the different opportunities and events at UNSW. Despite this, uni is a fantastic place to find yourself and surround yourself with like-minded individuals. So, how can you get involved? How? Stay updated: If you’re interested in a society, sign up to their emailing list to know about upcoming events. Info is shared on social media, so keep updated on Facebook and Instagram! Societies are a great way to find new friends and develop long lasting friendships! Events that meet your social, academic and professional needs are run by numerous different societies. If you want to be more involved, join a subcommittee! This allows you to play a part in processes behind societies while developing your experience and skills. Applications for subcommittees open soon! ARC Arc maintains student life at UNSW and provides many opportunities. Arc also has a range of sporting activities at varying levels of competition as well as volunteering! Roundhouse To relax with friends or attend parties, look no further than the roundhouse! Shows and events are run on a regular basis throughout the year. Don’t be afraid to sign up! Peer Mentoring programs and camps are a great opportunity to meet new people. Volunteering opportunity presented by ARC? Subcommittee recruitment for a society has just started? Don’t hesitate to sign up! It never hurts to try, and the university experience is all about trying! Getting involved with a society is a great way to meet new people at uni and engage with the community! BSOC is the constituent society for UNSW Business School students, and is the largest UNSW society. We regularly run evens throughout the year, including events for socialising, sports, and career development. Getting involved is easy! Attend fun social events such as Camp and Cruise, and sign up for Peer Mentoring to help learn more about uni and meet fellow first-years. Finally, apply to join BSOC subcommittee, where youâ&#x20AC;&#x2122;ll get to help run BSOC with a team of like-minded individuals. BSOC Ball Term 3 Find out about BSOCâ&#x20AC;&#x2122;s upcoming events by signing up to our BSOC Times newsletter and following our Facebook and Instagram platforms. Sport plays an integral role in shaping our wellbeing, so unsurprisingly there are a plethora of sporting opportunities available to students on campus. Social sports are a great way of getting yourself involved whilst making new friends in a casual environment. Many societies offer a diverse range of casual events ranging from social basketball, soccer, touch football to underwater rugby and quidditch. The Business Society offers annual events such as social basketball and extraordinary sports (e.g. rock climbing and laser tag) which serve as a fun way to get active and to make new friends. competitive sporting events which are held by many societies (e.g. BSOCâ&#x20AC;&#x2122;s basketball, netball and oztag tournaments). Some of these events are held at an intervarsity level which gives teams a chance to compete against other universities. Students who are seeking a high level of competition may be able to trial for university teams. An example would be the annual University Games, where representative teams from different universities travel to another state and go head to head over a week long period. International Exchange is considered to be one of the best university opportunities. It’s a fantastic chance to encounter new perspectives and establish relationships with like-minded individuals around the globe. UNSW has a plethora of opportunities for exchange, with over 200 partner institutions based in 39 different countries. How does it fit into my studies? Overseas exchange can be done for 1-3 terms, and is a full time study load. Courses completed contribute to the units of credit required for your degree, and do not extend your degree (maximum of 24 credit units transferred per half year). However, the marks aren’t transferred. Instead, your academic transcript shows ‘satisfactory’ for these courses. How do I apply? There is an exchange tutorial on Moodle outlining the application process. For exchange in Term 1 of the next year, the deadlines for these applications are in May. For exchange in Term 3 of the next year, the deadlines are in October. In general, a credit average is required to go on exchange, however, some institutions require higher grades, so you should check the UNSW website to see the criteria for different universities, as well as whether they have your courses available. Undergraduates need to have completed 24 units of credit and have at least 18 remaining credits at the start of exchange. Career Accelerator is a set of programs aimed at helping students develop core career skills. It is available to all Business students at UNSW. Starting with the CA: Essentials online modules, you can easily and meaningfully build important workplace skills including Orientation, Communication, Teamwork, Planning and Organising, and Self-management. Earn digital badges to visualise your learning while unlocking access to valuable opportunities for future professional success. Internships and Consulting Projects Getting industry experience while studying will greatly improve your chances of getting the job you want when you graduate! Networking and Events Access workshops on campus and exclusive networking opportunities hosted by employers at their premises, or compete in highly regarded international business case competitions. Global Opportunities Spending time overseas can be an invaluable part of your degree. As a student at the Business School you have a world of opportunity available to you, including for-credit short-term courses, study tours, Student Exchange and more. Mentoring and Alumni Take advantage of CAâ&#x20AC;&#x2122;s mentoring programs designed to help prepare you for a successful career in business. Feburary 26th is a special day on the Term 1 calendar as it marks the UNSW BSOC Careers Fair. Held at Leighton hall from 9AM12PM, the Careers fair is probably the largest business-oriented careers event on campus. It provides the perfect opportunity for networking with recruiters from leading firms such as JPMorgan, EY, Google, Microsoft and Macquarie Group whilst also allowing you to discover more about the career opportunities on offer. The best aspect of the Careers Fair is the opportunity to really understand what it’s like to work as a graduate, as real employees offer a rare glimpse into their everyday lives. There will be free coffee, muffins, smoothies, sandwiches and fruits as well as prizes and merch to win for early bird attendees! Written by Illian Yuan Over the course of your university life, you are bound to encounter an interview – whether it be for a society role or your career. Here are a few tips on how to leave a positive impression! 1. Preparation Do your research Make sure you know the values, culture, and vision of the company/society. Ensure you understand the importance of the role you’re interviewing for. STAR method Outline the Situation; Task; Action; and Result. This is a good foundational way to structure your responses: be prepared to provide anecdotal examples to questions regarding how you’ve demonstrated certain skills and behaviours. 2. Composure Take your time If you cannot answer a question immediately, it is okay to ask for a moment to think before responding! Stay engaged It is easy to lose focus. Asking interviewers to repeat questions, answering only the first half of the question, or not properly answering is not a good sign! Find a balance and be genuine Whilst it is important to put your best foot forward, be mindful of not coming off as overconfident. Avoid sounding robotic or rambling! 3. Smile, laugh, and remember it is okay to be nervous Interviewers are looking for people who can get along with people in their team, so make sure you display a fun personality! There are so many opportunities at uni, make the most of it, try something new and see where it takes you! Know where your priorities lie; spend your time and headspace accordingly. Stay organised to sustain uni, work, relationships, etc. Dedicate time to catch up with your friends even if it’s difficult, because relationships are harder to maintain than you think! Join societies to make new friends and maximise your first year experience! Don’t feel guilty if you find yourself stressed or struggling to balance your commitments. Just do your absolute best! Embrace the uni experience at your own pace. Being overwhelmed is natural, but bounce back and say YES! If at first you don’t succeed, change your plans, not your goals.